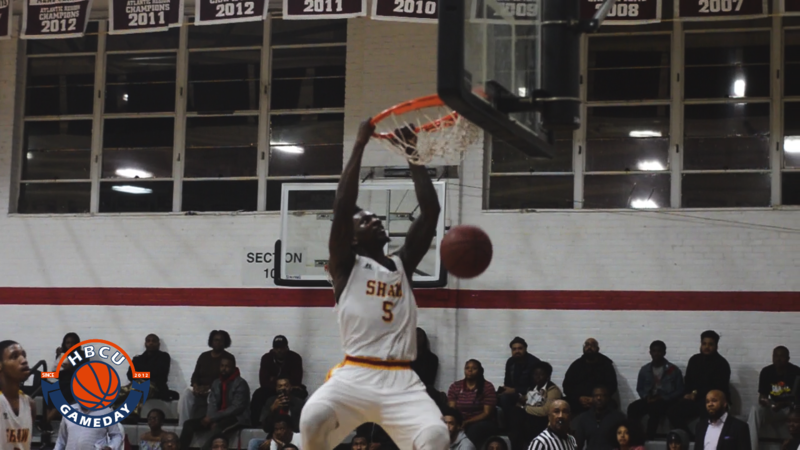 Shaw’s star seniors came up with big performances against Chowan to help their team open CIAA play with a win on Tuesday. CIAA conference play tipped off on Tuesday and Shaw got off to a good start against Chowan. The defending CIAA Southern Division champs used big-time performances from its top two players to beat Chowan 87-80 in Spaulding Gymnasium on Tuesday. Savon Goodman led the way for the Bears with 33 points and 13 rebounds. It was the kind of game you would expect from a guy who nearly averaged a double-double in the PAC-12. It was the second time in three games the former Arizona State player put up better than 30 points. Senior guard DeAngelo Stephens-Bell played some great all-around basketball for Shaw, scoring 20 points and dishing out six assists while grabbing five rebounds and coming up with five steals in the win. Shaw (5-4, 1-0) led by as many as 17 points in the second half, but Chowan clawed its way back into the game, cutting it below double-digits several times, but never managing to get within striking distance. The Hawks (4-5), however, did get a great performance from Tim Hewett. He finished with 25 points, 11 rebounds and eight assists. Brandon Mayhan chipped in 19 points as well.